It is with great sadness the family of Chester Arthur Williams, 88, of Newport, Rhode Island announce his passing to be with the Lord on January 15, 2019. His was a life well lived, full of laughter, smiles and love for his family and friends. Chester Williams was born in Akron, Ohio, on June 14, 1931, the seventh child of the late Monnie, Sr. and Lila (Millirons) Williams. He graduated from John R. Buchtel High School in Akron, Ohio, then enlisted in the US Army in 1951. After his honorable discharge from the service, Chester was employed by Mrs. Marion Charles of Newport, RI., as her chauffeur and personal attendant. Chester loved to travel, owned a legendary album collection. In his free time, Chester was an avid reader, loved to roller skate and take in the sights of Newport's beautiful landscape. Chester is survived by his sister Anita Walker Hawkins of Cleveland, Ohio. 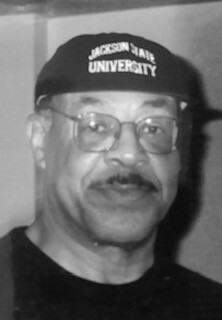 He was preceded in death by his parents Lila and Monnie Williams, Sr. and siblings Anna R. Collins, Snow B. Williams, Edith M. Taylor, Monnie Williams, Jr., Fred H. Williams and recently departed niece Jewell (Harry) Painter. Fond moments with Uncle Chester will be remembered by nephews and nieces, Richard (Delores) Hicks of Silver Springs Md., Constance (Covance) Fields Cabell of Palm Coast, FL., Lynn Taylor Mitchell of Palm Coast, FL., Pamela Ford Vinson of Akron, OH., Deborah Ford Lindner of San Francisco, CA., Victoria Ford Petit of Cibolo, TX. and Laura Ford-Harris of Cincinnati, OH. And numerous great-great nephews and nieces to cherish his memory. Final interment will take place at Glendale Cemetery in Akron, Ohio. Due to inclement weather in Akron and Northeast Ohio, we would like to extend an invitation to join the family for a "Celebration of Life" for Chester A. Williams in April 2019. Memorial donations may be sent to The Boys and Girls Club, 95 Church Street, Newport, RI 02840.